34 SMT007 MAGAZINE I JULY 2018 ics functions in ever-shrinking form-factors designed for optimal reliability, power effi- ciency and ease of use. Concurrent with this evolution, the various global reimbursement policies and regulatory approval processes for medical devices are also becoming more complex. This growing complexity of medical devices is also unfolding in parallel with an increas- ingly competitive marketplace, which is putting pressure on device innovators to combine fundamental design for excellence rules, good manufacturing practices for supply chain and manufacturing operations, and innovative new materials and processes to deliver accretive value at rapid speeds and lowest cost. Put simply, the design process is still driven by product requirements. By also consider- ing the optimum path for assembly, however, Feature by Craig Stott, Ed Sermanoukian, and Girish Wable NYPRO The assembly of medical devices compris- ing electronic and mechanical components has always been one of many considerations in the product development cycle. 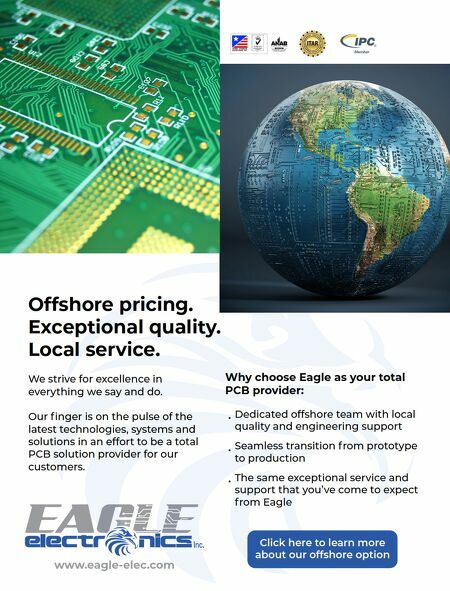 But the assembly phase has become an increasing challenge as devices grow more complex, functional and compact, and as they undergo increasingly frequent product refresh cycles. The medical devices emerging today have evolved from purely mechanical systems into sophisticated electro-mechanical designs that are embedded in and driven by a rapidly growing connected digital health ecosystem. 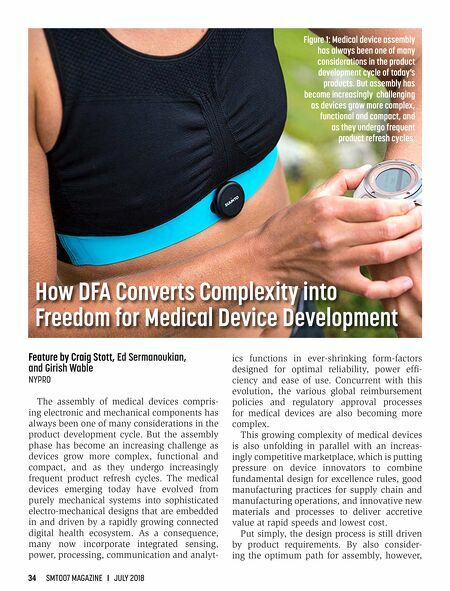 As a consequence, many now incorporate integrated sensing, power, processing, communication and analyt- How DFA Converts Complexity into Freedom for Medical Device Development Figure 1: Medical device assembly has always been one of many considerations in the product development cycle of today's products. But assembly has become increasingly challenging as devices grow more complex, functional and compact, and as they undergo frequent product refresh cycles.